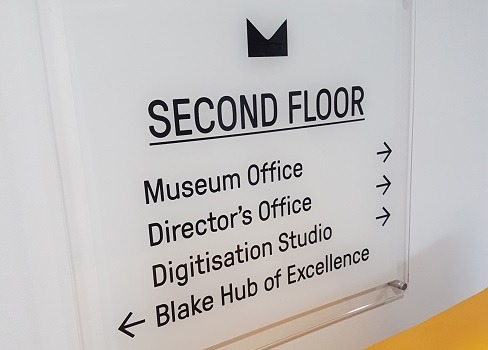 Blake and The Postal Museum have announced that they have joined forces, including the opening of the packaging company’s fourth ‘hub of excellence’ at The Postal Museum headquarters in London. Visitors to The Postal Museum will be able to reveal the surprising story of the first social network through inspiring galleries packed with incredible objects, exciting stories and engaging interactive displays, and discover an incredible piece of Britain’s industrial heritage – the hidden tunnels of Mail Rail – through an immersive ride experience. Blake has been developing the exciting concept of opening ‘Hubs of Excellence’ in a number of strategic locations across the UK. The principal aim of the hubs is to provide experts in the field of envelopes and postal packaging, in key locations across the UK and the Postal Museum was a perfect choice for a London site; the first hub opened in Edinburgh in November 2016. Blake’s hub of excellence is situated within The Postal Museum in Clerkenwell, the heart of London’s design community. It provides graphic designers, marketing professionals and businesses with a centralised place to discuss their specific requirements. An expert will be on hand to help people understand the thousands of options available for any postal packaging need including specific inspiration for direct mail campaigns and bespoke packaging.